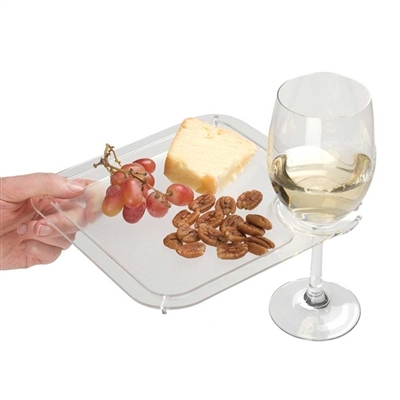 Our Acrylic Hors D'ouvres Plate is the perfect plate for entertaining your guests. Featuring a sturdy, textured surface that makes gripping easy and a slot specially designed for holding stemware, tables will be optional at your next party. Standing room only is no longer an issue.